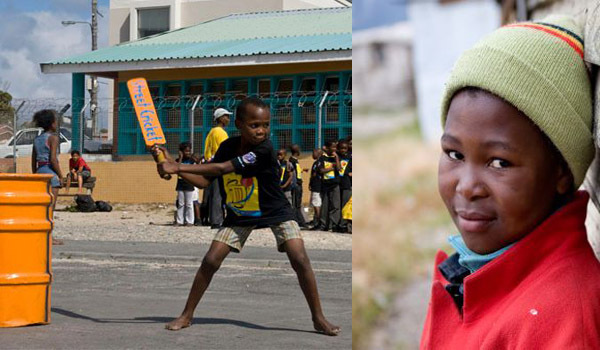 Masiphumelele means “we will succeed” in Xhosa and visitors can experience many of the success stories and development programmes that have been established in the informal settlement. Masi is an excellent example of determination, self-help and the settlement has a strong sense of community. 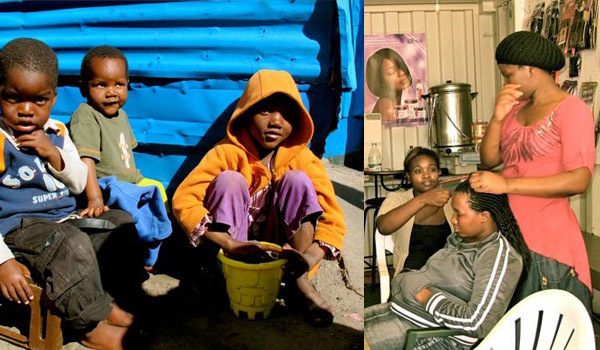 Every South African township faces challenges, from education to literacy, employment to health care; challenges related to HIV/AIDS, housing, water, hunger, policing, safety and electricity but there are TWO sides to every story. This story is not about denying or ignoring the issues but rather to highlight a fascinating culture and fine people. Life in Masi is vibrant – the streets are a little chaotic if you come from a leafy middle-class suburban neighbourhood. In Masi, dogs run on the streets, children play on the streets, taxis dodge each other in their race to pick up passengers, cars and bicycles weave amongst the children & dogs; vendors sell things, people shout at their friends across the road, there is food being cooked, there are brightly painted houses (see photos here) , colourfully dressed people, colour, more colour, noise, music, singing and laughter. There is a pulsating energy from the cheerful women roasting their mealie cobs, from the hair stylists hard at work in colourful barber shops; from the fresh faced enthusiastic learners running barefoot to school; from the dudes proudly blaring Kwaito music from their battered vehicles; to the spaza shop seller; the craftsman creating beadwork, to the sangomas – healers and keeper of myths & traditions .. all the way to informal games of street cricket or football. 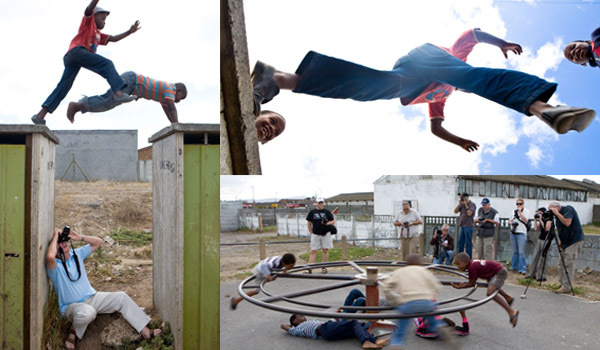 Visitors can expect to be fascinated by township life which is reflected in the streets and the faces of the people of Masiphumelele. Visitors can expect to feel welcomes, visitors can expect to be inspired and visitors will leave feeling compassionate, privileged, grateful and aware… aware that the thriving life in Masiphumelele township (and other South African townships) is a story of success. Aware that entrepeneurs are building businesses and educating their peers as well as visitors. Meet Clement for example… Clement is a man with a love of coffee, a passion and a dream. Clement is a barista that recently opened Masi Cafe – a coffee shop selling top end coffee in the township. Unlikely you think…? Perhaps not – didn’t England change from a tea to a coffee culture? Masi could just as easily change from an instant coffee culture to a fine Arabica blend. It will if Clement has anything to say about it! Read More about Clement and Masi Cafe here … or better yet pop in for a cuppa or try the winter special… All Day Breakfast and a free coffee for just R20! We’d also love to introduce to the Township sisters. Mandy and Ali have a unique bond and friendship. 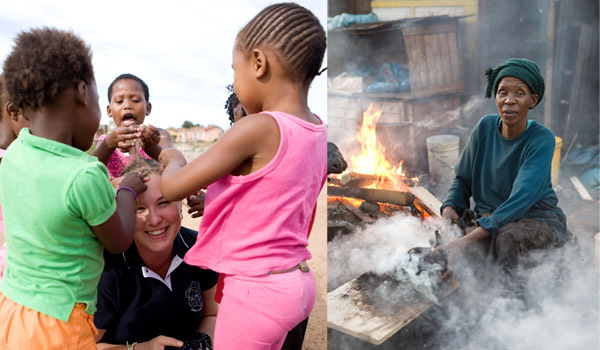 Mandy is a Masi local and will take you walking through the township – she’ll share her personal story, you’ll meet her family and she’ll take you through the streets of Masi and see some of the centres, the creche, the clinic and the recycling centre. 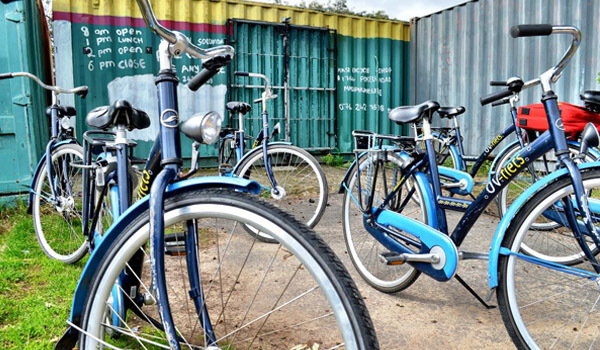 The Township sister offer 3 tours – 1.5 hours, 2 hours and 3 hours… depends on the time you have available. The Khawuleza (quick) tour gives you an overview; the Chakalaka tour is a 3 hour discovery from artists to the library to the shebeen (local bar) or a personal favourite which is the Sunday Tea Tour where you pop into the local church for a moving experience. If you have never heard the church choir… then Read More and book now! 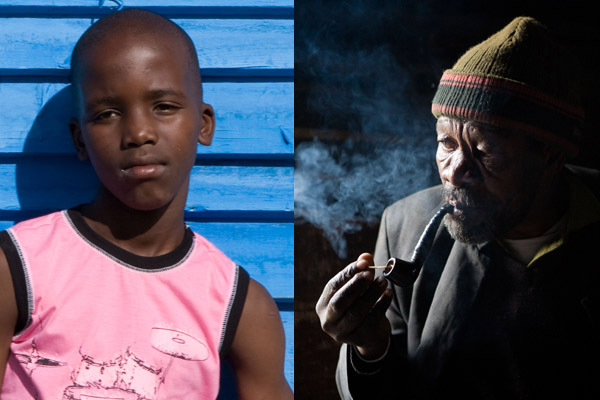 If you’re not convinced about visiting Masi or a township, then think again. “Township/Slum” tourism is no longer a situation of rich visits poor. This is not voyeurism in action. This form of tourism is a little more complex than a standard visit to an iconic site. This is an experience of real people and real culture. Visitors will have a better understanding of South Africa’s past and South Africa’s Future. 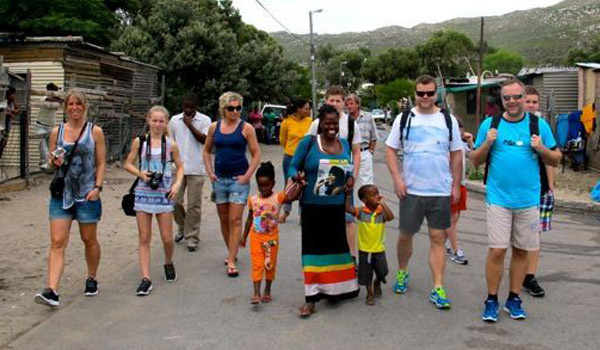 Community based tours and visits to the Townships bring real and lasting benefits to some of the poorest communities. Don’t forget that the local residents benefit from interacting and talking to visitors and initiating discussions, finding out how other people live and talking about issues that can be addressed as well as regular topics that exist all over the world, “what music are you listening too, how do you cope as a working mother etc…” The residents benefit from visitors getting involved with volunteer projects and bringing funds into the townships. It’s a cultural intervention with economic and symbolic consequences- let go your stereotyping and prejudices… meet and visit Clement and Mandy and Nonny- find out for yourself. All tours and excursions mentioned can be booked through Cape Point Route. This entry was posted in Attraction, People, Tours and tagged Cape Peninsula Bakeries, Cape Peninsula Coffee Shops, Masiphumelele, Photographic Day tours, Township Tours CapeTown. Bookmark the permalink.